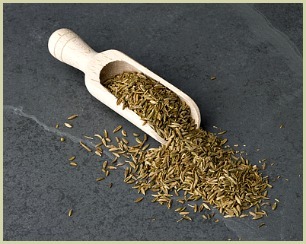 Cumin Health Benefits | Packed With Antioxidants, Vitamins and Minerals! The Cumin Health Benefits - Not Just a Tasty Addition to Your Home Cooking! 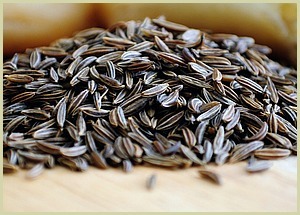 Since the olden times, well since at least 4000 years ago, cumin health benefits have been well known. Like a lot of spices used in ancient times, most were used for health reasons and in medicines before they were used for adding flavour to cooking. And the early history of cumin was no different. For info on this, click here to read more about the history. Today we mainly use the whole and ground seeds for cooking and for making numerous powders and blends. However you choose to use it, the health and medicinal properties are still to be valued. Read More on the spice itself. In South Asia, they boil the seeds in hot water to make tea, which can, apparently, be used to distinguish false labour from the real thing. ...This tea is made with the antioxidant rich seeds boiled in water. A squeeze of lemon juice and cilantro leaves are added to make a traditional remedy for colds, coughs and which helps to soothe sore throats. I mainly use the white variety (Cuminum cyminum) for my blends and recipes, but sometimes I'll use the less common black cumin (Bunium persicum) in my cooking. This black variety will have its own unique therapeutic effects as well as adding huge flavour to your food! Read more on this type. So, to sum up, you can't really go wrong with this spice! Not only does the cumin plant and its seeds add great taste and flavour to your food, the cumin health benefits make this a very valuable spice indeed. If you live in a mild climate, and you're interested in growing the plants yourself, you can read more about the plant and some growing cumin tips here. Note: For health and taste reasons, one thing I definitely recommend is to buy (or grow) whole cumin seeds and use them as they are in your cooking or grind them yourself rather than buying the pre-ground powder. The flavours and aromas they add are far superior to the prepared store-bought stuff! Benefits of Turmeric - The Healthiest Spice of All!